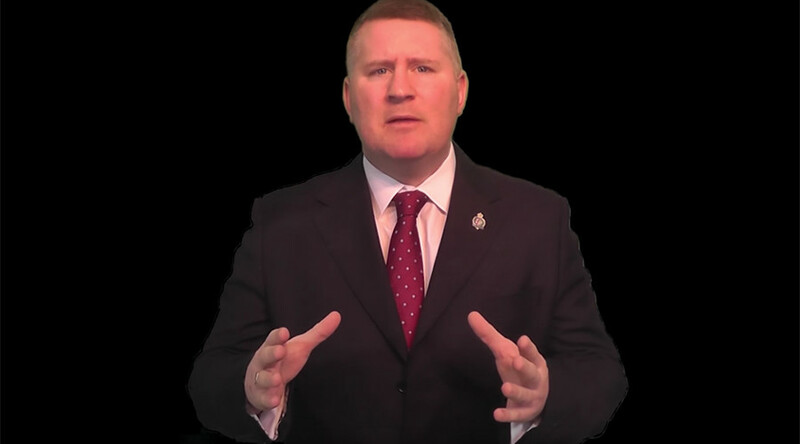 Paul Golding, leader of the far-right group Britain First, says anyone who doesn’t agree with him will “endure a day of reckoning” for “crimes against our nation,” following his release from prison a week ago. Golding was jailed a week before Christmas after he breached a court order not to enter any mosques in England and Wales for three years. He was also banned from entering parts of the town of Luton. In his new video, Golding claims he was put in prison by a “corrupt left wing establishment” in the hope it would crush his resolve or “moderate” his behavior. Golding claims he is going to bring “every single last one of you [‘leftists’] to justice. Anti-fascist charity Hope Not Hate says Golding’s words must be taken “very seriously,” particularly after the murder of Labour MP Jo Cox by far-right terrorist Thomas Mair last year. Golding’s sentencing in December followed a request for an injunction by Bedfordshire Police after a series of “mosque invasions” by Britain First’s so-called “Christian patrols” that filmed themselves storming into mosques to confront worshippers. 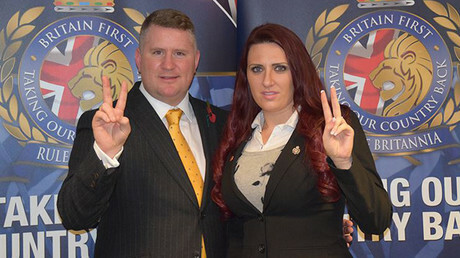 Last year, Britain First’s co-leader Jayda Fransen was found guilty of religiously-aggravated harassment for shouting abuse at a hijab-wearing woman in Luton. Britain First has also staged controversial protests in Luton, handing out anti-Islam literature while holding aloft white crosses. Set up by former members of the British National Party (BNP), Britain First insists its demonstrations are peaceful, and has accused police of restricting its freedoms as a registered political party. The group has often been referred to as racist and fascist, though it denies the claims.